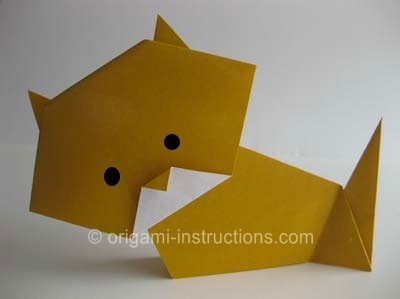 This origami cat involves folding a cat head and body and then putting them. The end result is a really nice looking cat! 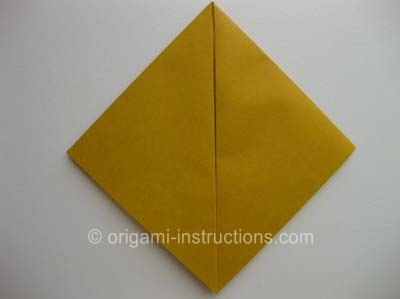 Origami Cat Step 1: Start with a 6 inch x 6 inch (15cm x15cm) square origami paper color side down. 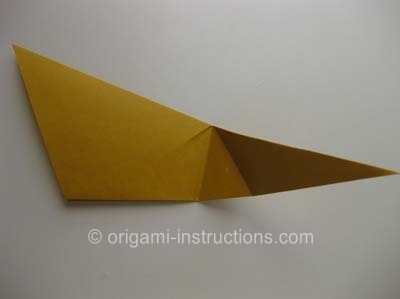 Fold on one diagonal axis. Crease well and unfold. We want to mark the center point so fold the paper over on the other diagonal axis but only crease on the center point. 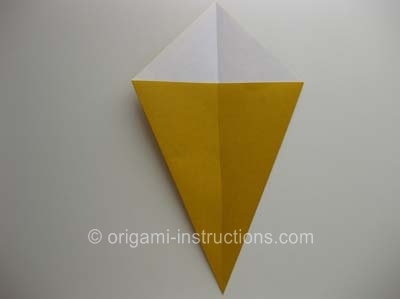 Origami Cat Step 2: Fold the top tip down to meet the center point. 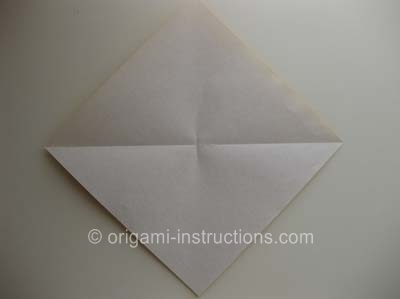 Then fold it over the center crease. 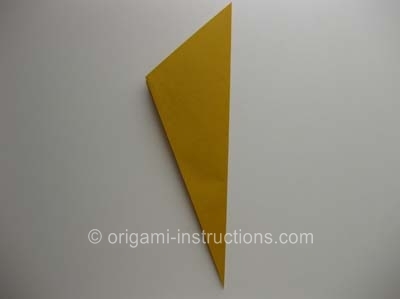 Origami Cat Step 3: For the right tip (marked "B" below) to meet point 'A". Also fold left tip (marked "C" below" to meet point "A". 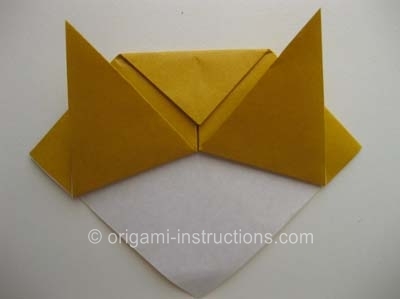 Origami Cat Step 4: Fold both the right and left tips upwards to form the ears. 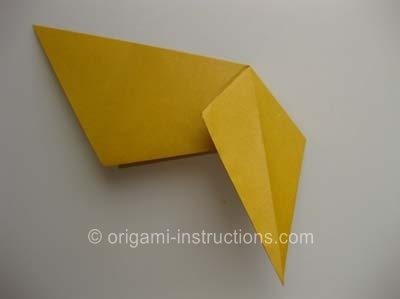 Origami Cat Step 5: Fold the top tip downwards. 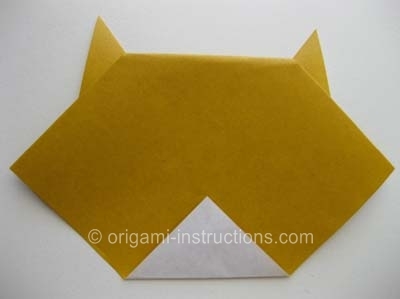 Origami Cat Step 6: Flip paper over. 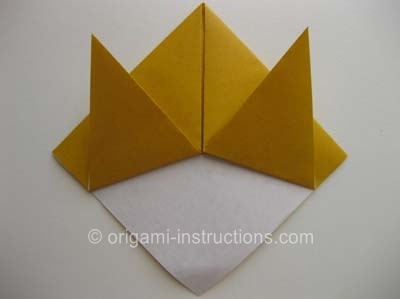 Fold the bottom tip upwards as indicated below. 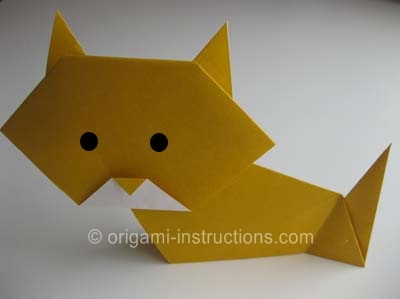 Origami Cat Step 7: Now fold down the nose tip. 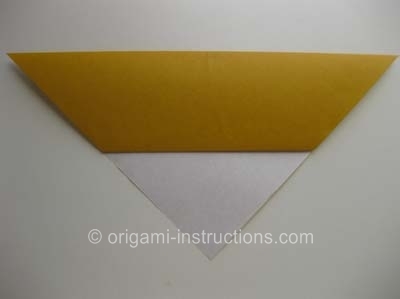 Origami Cat Step 8: To make the origami cat body, start with a 6 inch x 6 inch (15cm x15cm) square origami paper color side down. 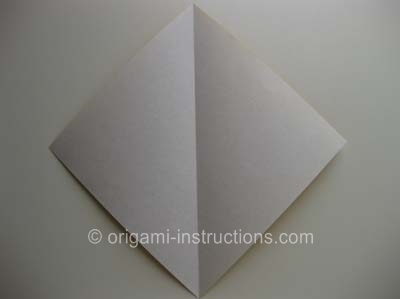 Fold on one diagonal axis. Crease well and unfold. 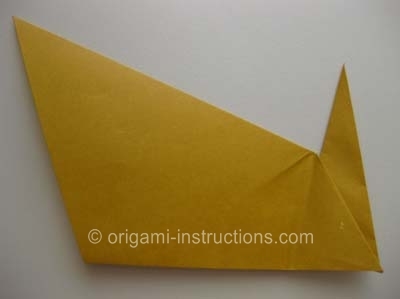 Origami Cat Step 9: Fold both sides towards the center crease. 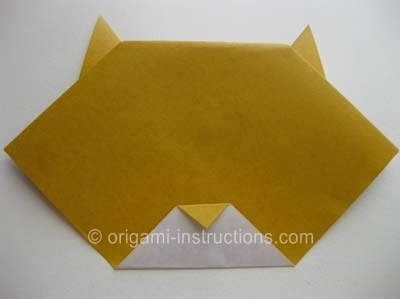 Origami Cat Step 10: Now fold the paper in half. 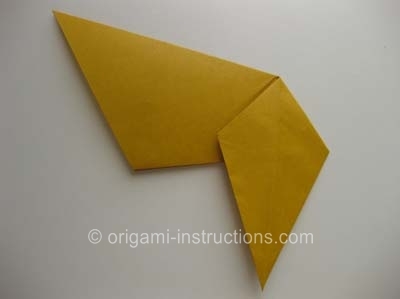 Origami Cat Step 11: Rotate the paper. We're now going to work on our cat's tail. 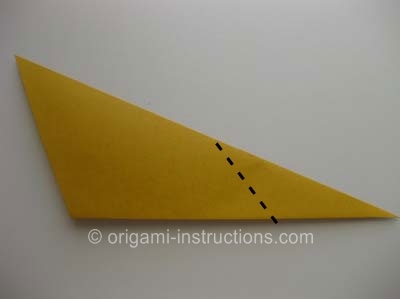 Make a fold where indicated below. Crease well. 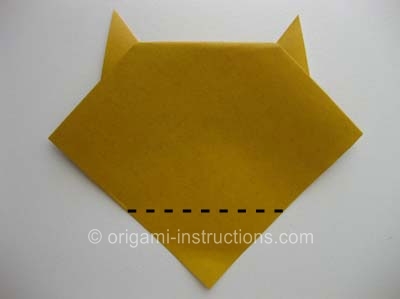 Origami Cat Step 12: Make another fold as indicated by the dotted line below. Crease well. 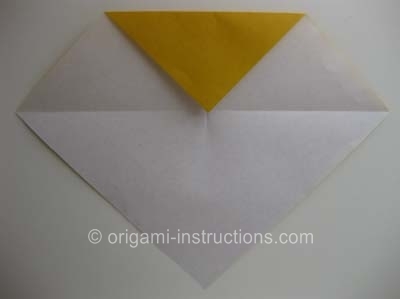 Origami Cat Step 13: Unfold the paper. 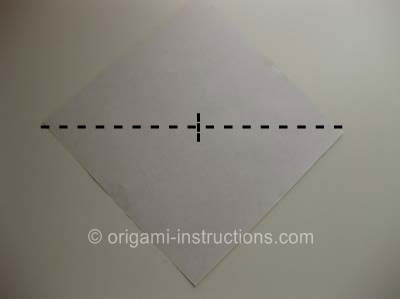 Using the 2 creases you made earlier, you can now bring the right tip over to the left and squash it down. 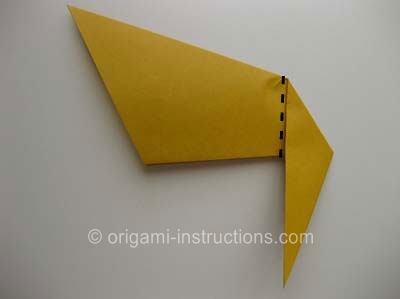 Origami Cat Step 14: Now fold you tail upwards where indicated. Origami Cat Step 15: Let's complete the cat's body! 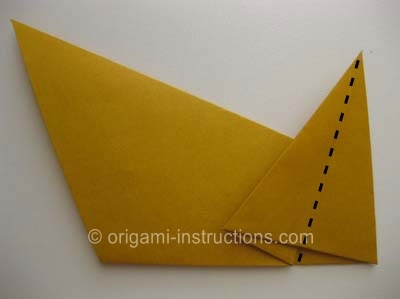 Fold the tail in half by bringing the left flap over to the right. 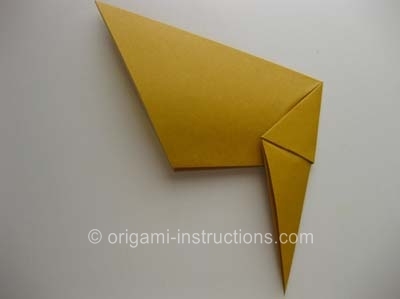 Origami Cat Step 16: Attach the cat's head to the body and your origami cat is complete! Check out the many origami cat photos that have been submitted by our readers!